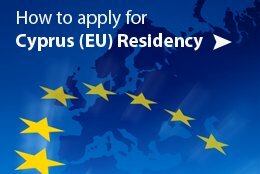 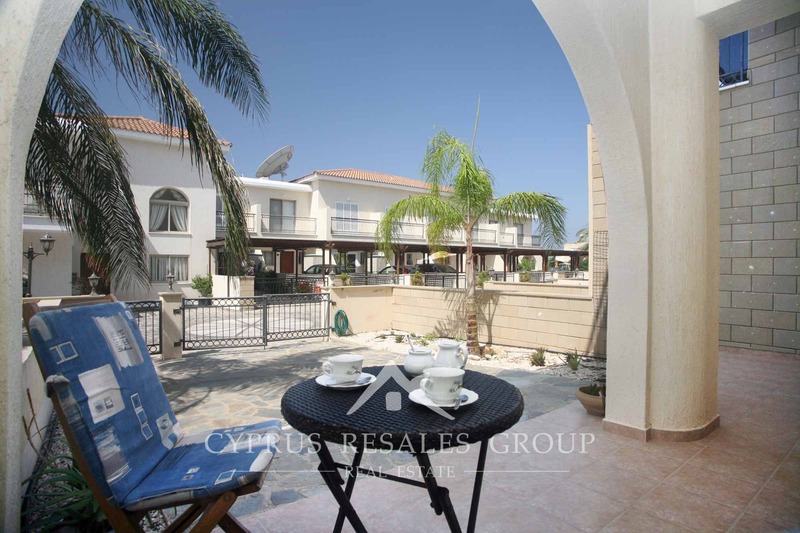 Ioannis Gardens is a modern gated development of maisonettes and apartments. 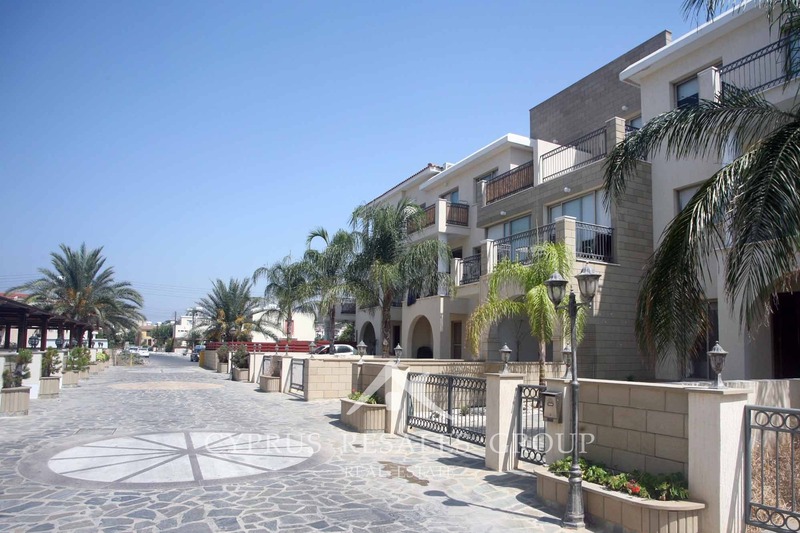 This high quality residential project by J. Arstisodemou is conveniently located only a short walk from the UNSECO site of Tombs of the Kings and numerous cafes and restaurants of Kato Paphos. 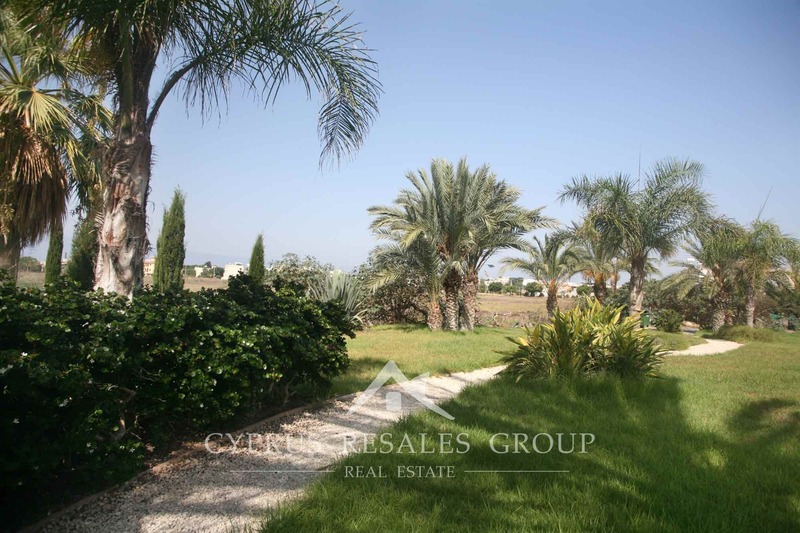 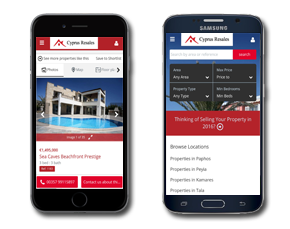 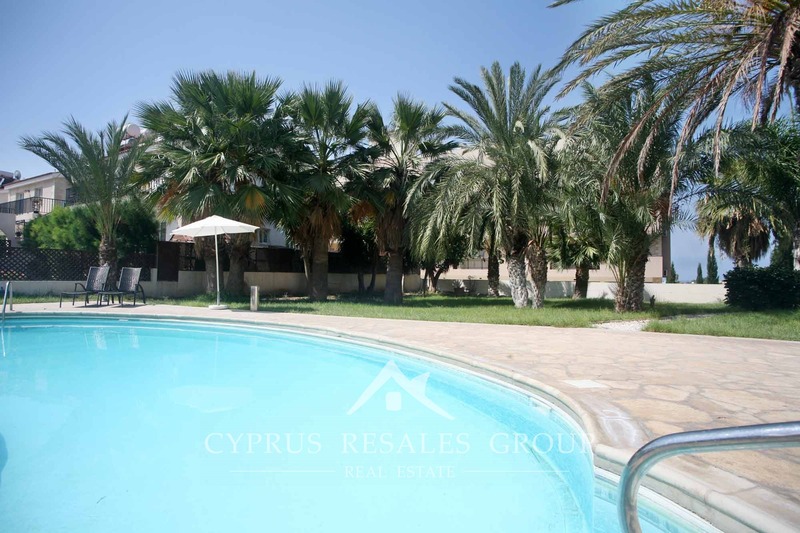 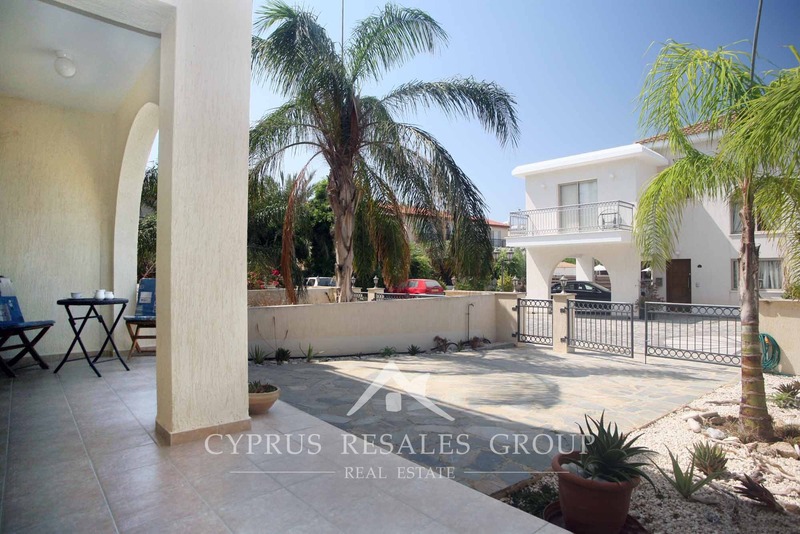 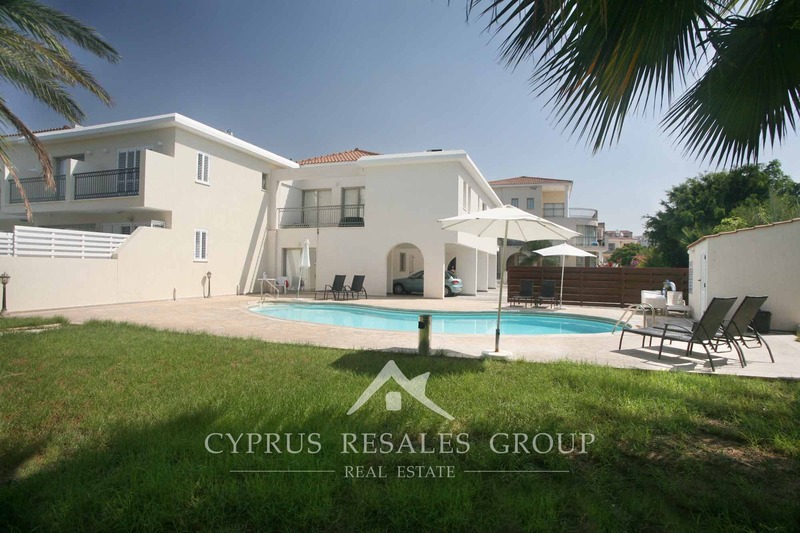 In a quiet cul-de-sac, with landscaped feature gardens and large common swimming pool this is a perfect holiday home in Cyprus. 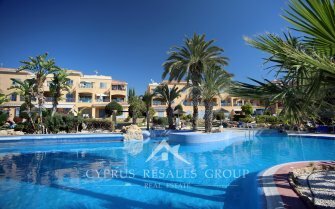 Inspiring design of this resort complex with attention to the smallest detail will enchant even the most particular visitor. 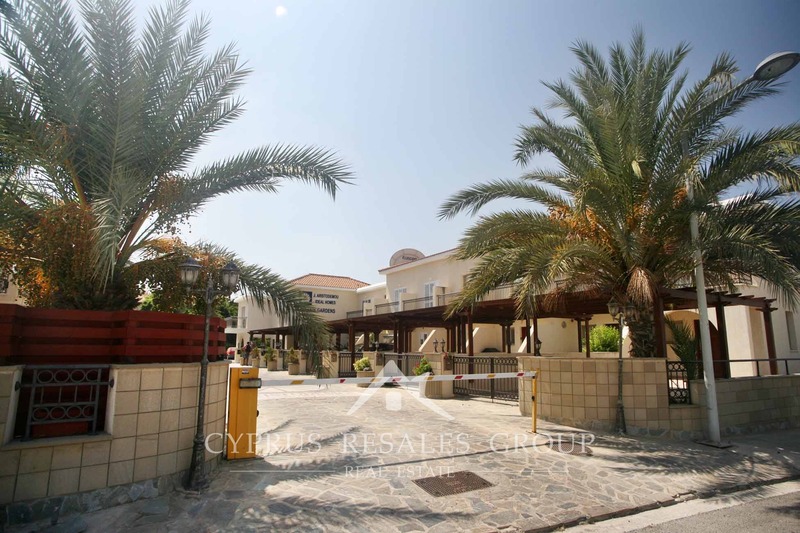 Beautiful central palm lined alley leads from the gated entry to the rear of the project with spacious visitor parking. 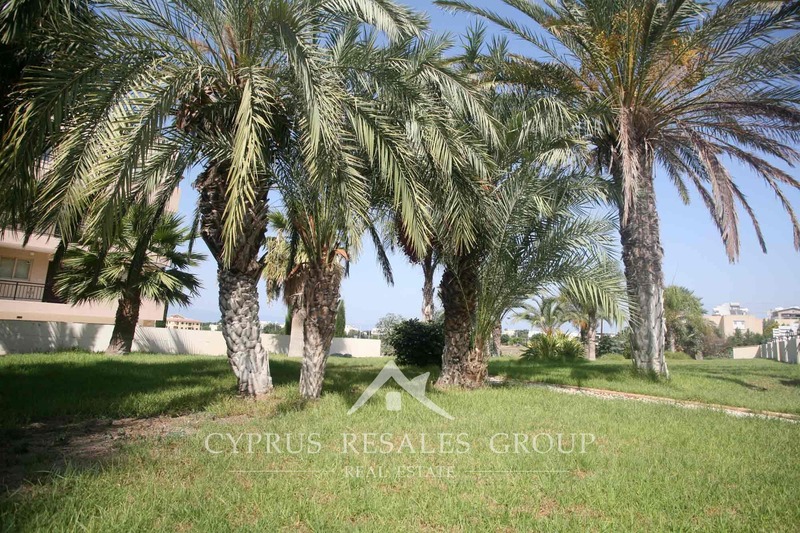 To the front of the project taking advantage of the open coastal views are the landscaped gardens with immaculate lawns and lush palms. 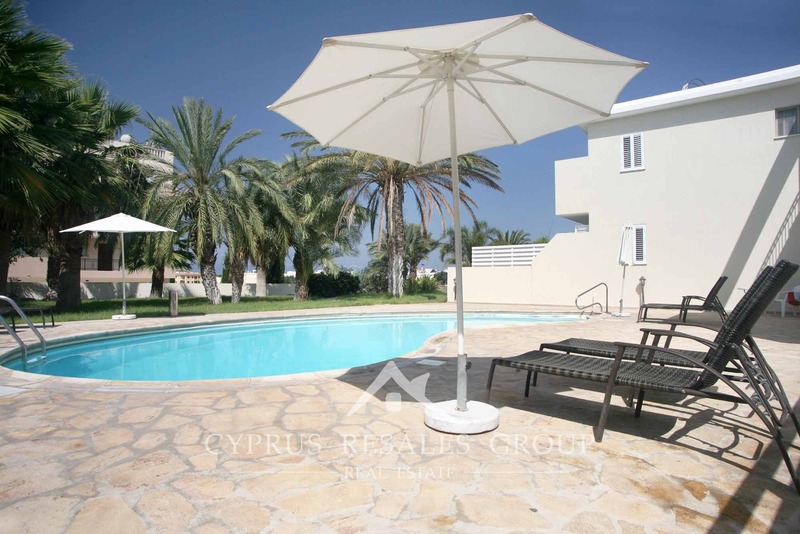 In the tranquil corner of the gardens we’ll find a large paved sun terrace around kidney shaped swimming pool. 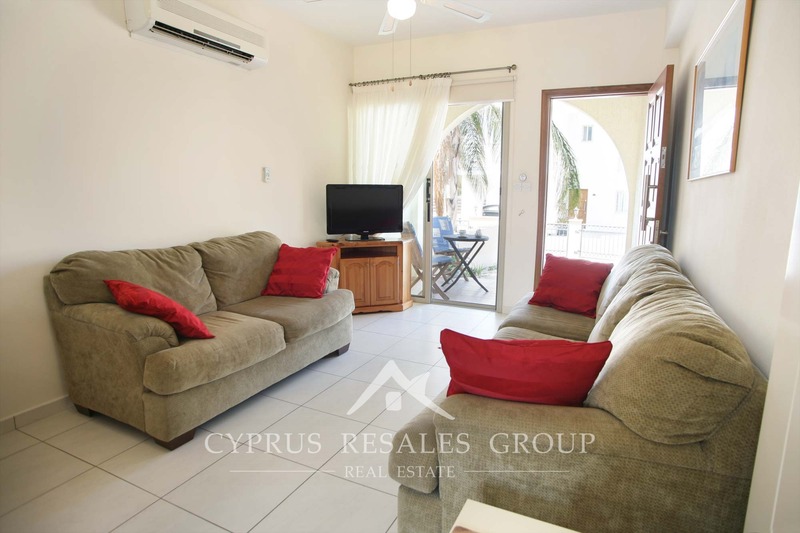 This excellent ground floor apartment benefits private parking to the front of the property and gardens to the front and back. 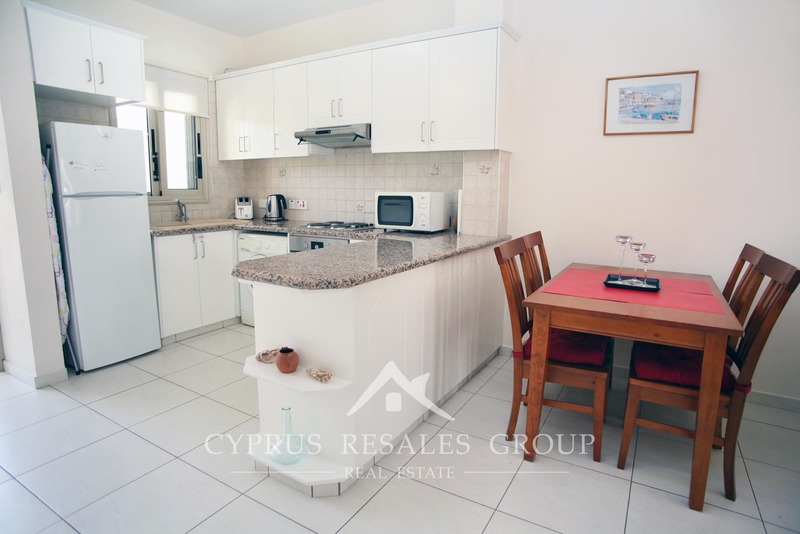 Interior of the apartment is very well presented with modern high quality finishing. 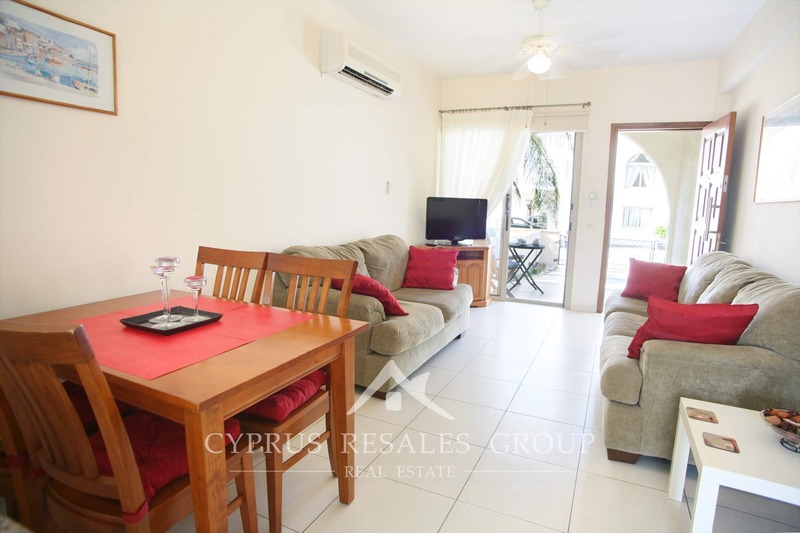 The open plan living area is enhanced by stylish covered veranda with beautiful aspect of the central alley. 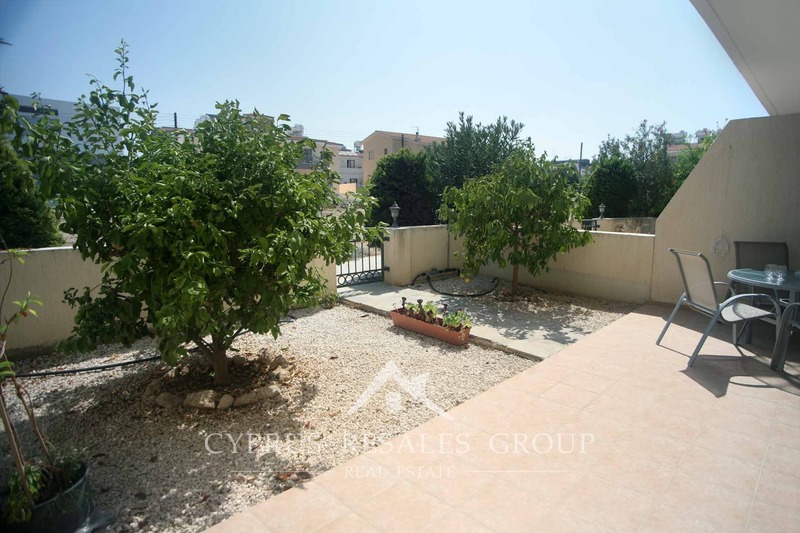 The rear kitchen door opens onto lovely gardens with gate overlooking open land. 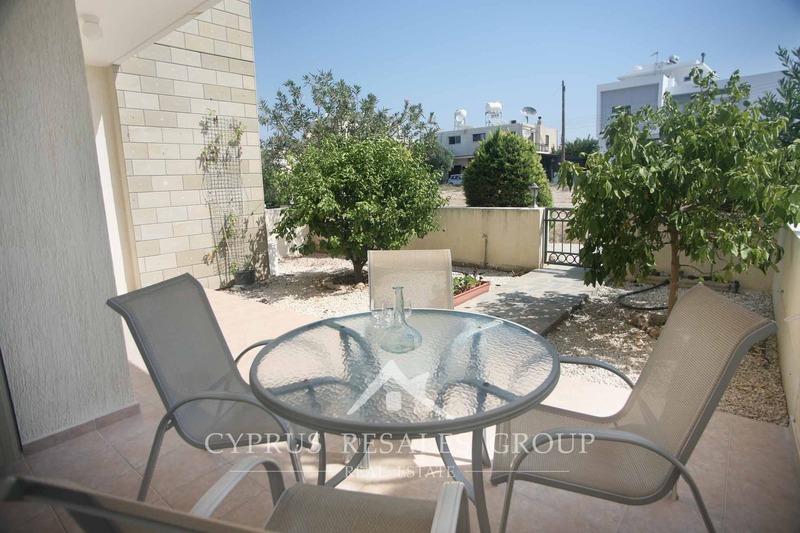 This is a great spot with extra privacy for your morning coffee or relaxing dinner. 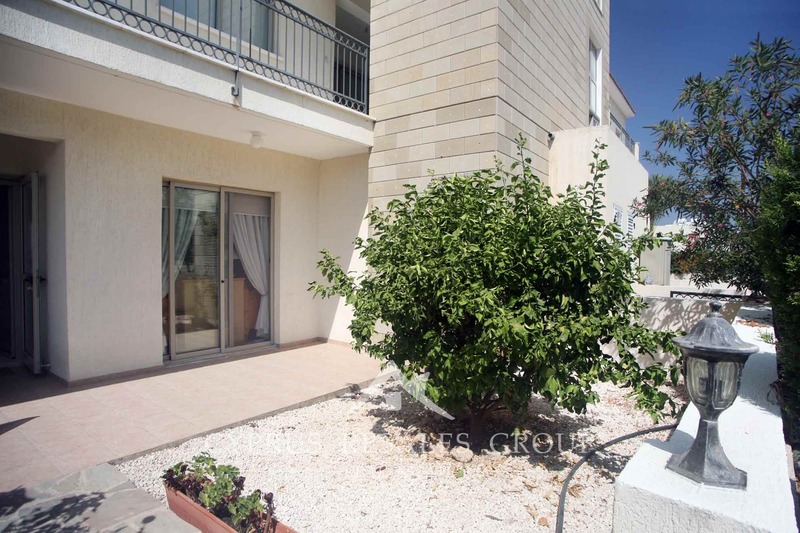 Two double bedrooms, both with fitted wardrobes and large patio door exiting onto the terraces, are separated by a large modern family bathroom. 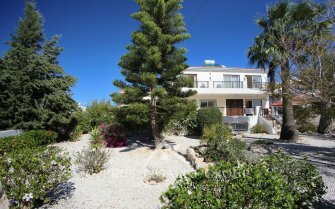 All finished to a high standard in a superb quality project. 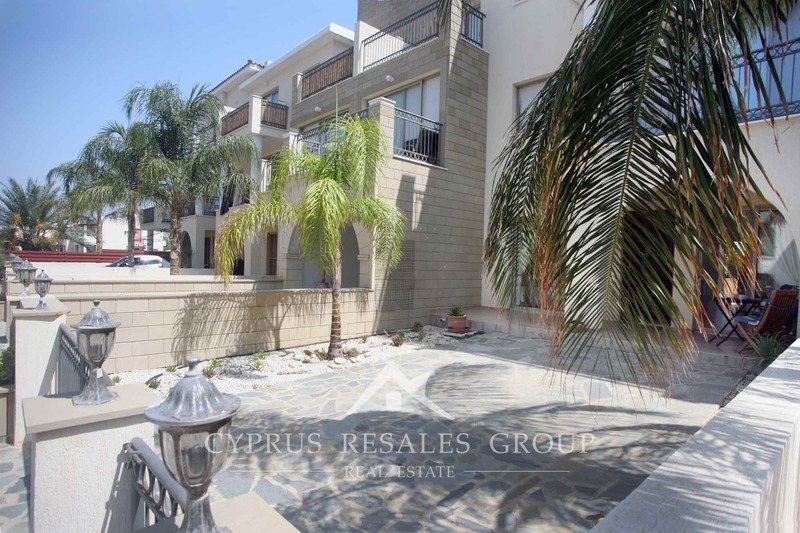 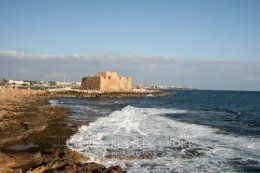 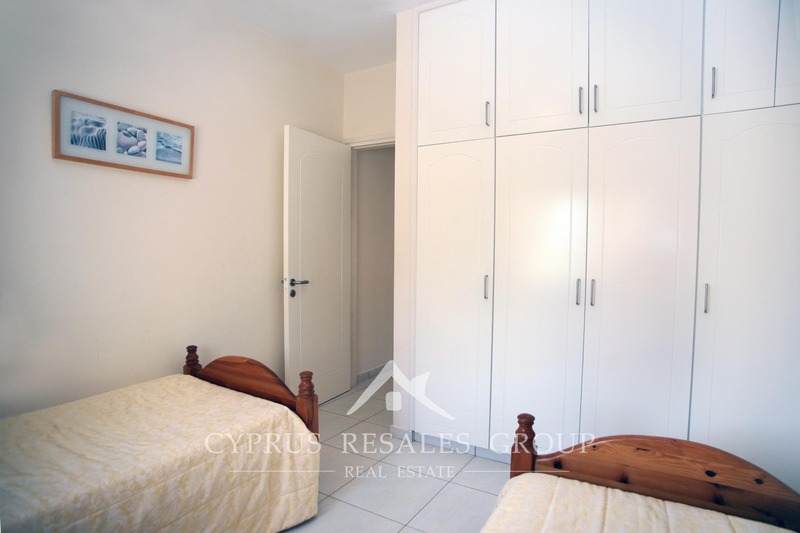 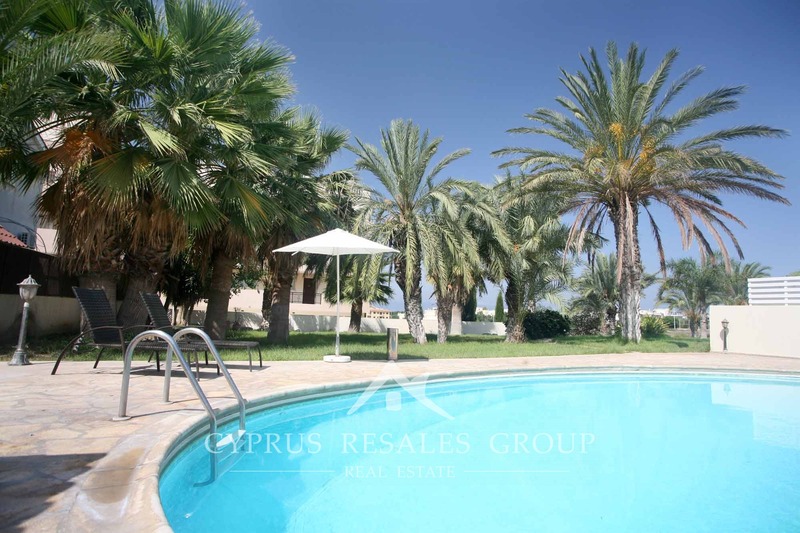 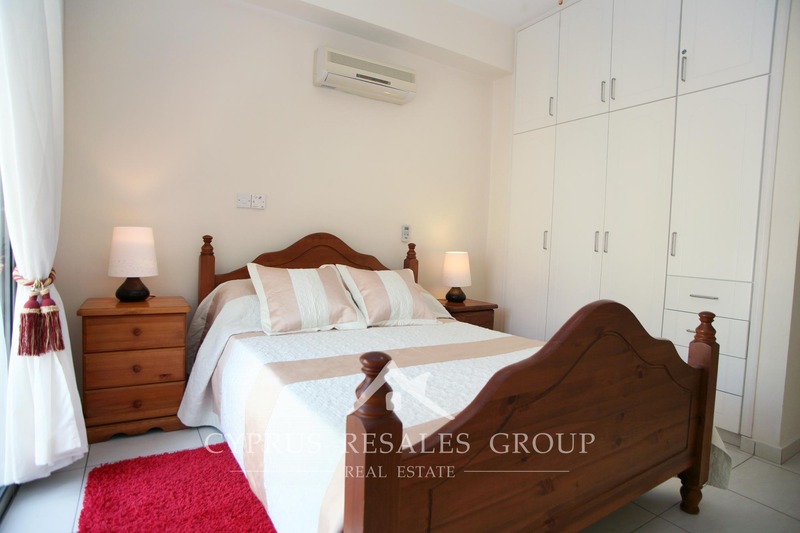 A must view for anyone looking for a modern apartment in the heart of the Paphos tourist area.